Elder Care - 10 Best Summer Activities for Seniors! 3) Volunteer: Volunteering is a great way to stay active and involved in the community. Sometimes seniors feel that everyone is busy helping them. Volunteering is a great way for them to feel like they are giving back and helping others. 4) Swim: If possible go swimming! Swimming can provide a unique way for aerobics and muscle development in a safe environment. 5) Sports/Events: Attend local sporting event, festivals or activities. This is an easy way for families to spend quality time together. 6) Read a Book: Although this is great to do any time of the year, but sitting outside reading a book is always more fun! 7) Go for a Walk: Staying active is important. Whether you go for a walk around the block or drive to your local nature center and walk the trails, both are great. 8) Senior Centers: Attend some of the local senior center activities. They have wonderful activities planned throughout the summer, so get involved. 9) Visit Family: Take every opportunity to spend time with family. Sunday dinners, graduations, weekend trips. Whatever it is, spend as much quality time as possible. 10) Don't stay inside or say "tomorrow". Get out and have fun today! 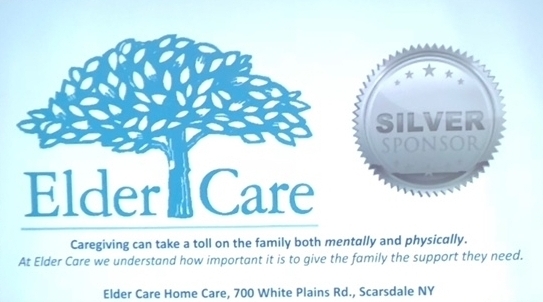 Elder Care was proud to support the Scarsdale Rotary and all that they do for the community. Scarsdale Rotary focuses on helping local charities and organizations within the community to drive change.